1. 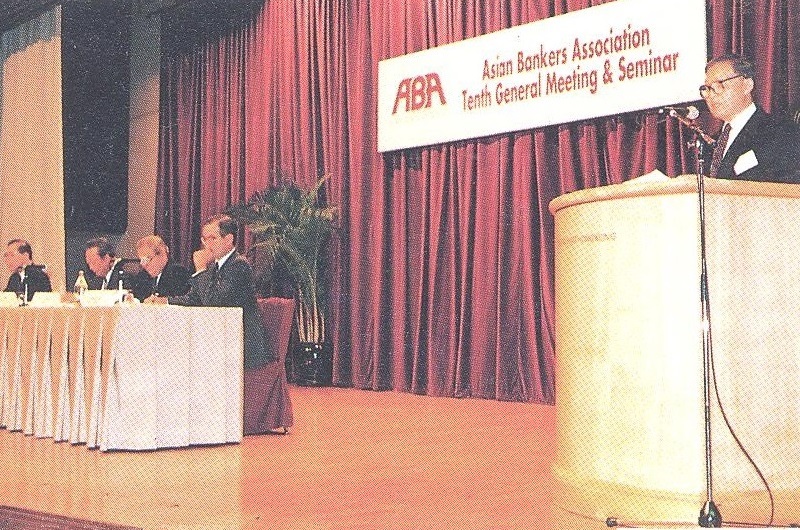 The Asian Bankers Association (ABA), a regional organization of banks operating in the Asia-Pacific region, held its 10th General Meeting and Seminar on November 15-16, 1993 in Hong Kong. 2. Attended by some 160 bank executives from various member banks in the region, this year’s meeting and seminar focused on the theme “The Emerging Financial Markets in China,” which was designed to provide participants with an update on the rapid changes taking place in one of the world’s largest markets. Prominent personalities from the international financial and business sectors were invited to speak on various aspects of the seminar theme. 3. Invited as speaker at the Opening Gala Dinner was Mr. Zheng Bailin, Deputy Chief Executive of the Hong Kong/Macau Regional Office of Bank of China. In his speech, Mr. Bailin talked about China’s reform and open-door policies and their impact on Asia-Pacific economic growth and opportunities for foreign investors. He said that the Bank of China Group would continue its role as a bridge and to further enhance business cooperation with the Asian banking circle. 4. In his Welcome Remarks, Dr. Mochtar Riady, ABA Chairman, acknowledged China’s potential to become the world’s biggest consumer market, and expressed his hope that the dialogue among members would encourage the adoption of innovative goals in exploring the opportunities that have been opened up by the country’s open-door policy. 5. Dr. Riady also gave a brief report on the various activities of ABA for the current year, particularly with regard to its membership drive, its country familiarization program, and its relationship with other international organizations. He reported that in the past year, ABA witnessed the strongest growth of membership in the history of the Association: a net gain of 40 members, from 138 to 178 member banks. The Vietnam Familiarization Tour was successful beyond expectation, and feedback on the two ABA-sponsored bank training courses at the Asian Institute of Management in Manila and at the Institute of Banking and Finance in Singapore was excellent. 6. In a paper prepared for the seminar, Mr. Di Weiping, Deputy Director of Foreign Affairs Department of the People’s Bank of China, spoke on recent developments and reforms in the financial system of China and their impact on the country’s economy. He pointed out that the government will continue to “lay out the parameters for various types of financial activities according to the general laws of the market economy so as to better promote a further integration of the Chinese economy with the world economy.” These activities include the further development of the securities market, the improvement of operation of the stock exchanges, the establishment of a strong and effective central bank system, and reforms in foreign exchange allocation. 8. Mr. William Overholt, Executive Director, Bankers Trust Co., talked about the present and future direction of China, which he referred to as the next economic superpower. He gave his insights on the policy differences between China and the Eastern European countries to illustrate why China has been successful so far in its implementation of a market economy, referring especially to the appropriate manner in which China has slowly built up its financial system. 9. Mr. Robert Savage, Managing Director of IBM, spoke on the challenges and practicalities of doing business in China today. He said that in developing itself to become the world’s strongest economy, China will be confronted with several issues, including those pertaining to succession, the development of an appropriate social security system, the trade off between stability and growth, the development of infrastructure, and the country’s international relations. 10. 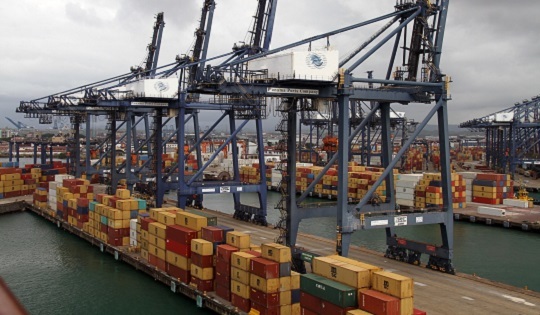 Mr. Peter Woo, Chairman, The Hong Kong & Kowloon Wharf & Godown Co., Ltd., noted that the major concern for the financial sector is how to effectively collect and channel China’s savings into investments. 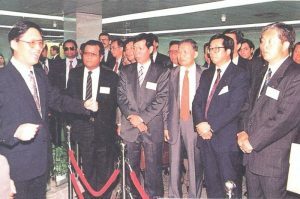 This, he said, presents great opportunities for Asian bankers in many areas, including the establishment of accounting systems, the development and setting up of computer programs for banking operations, and providing the personnel requirements of financial institutions. 11. Mr. James E. Gilleran, Superintendent of Banks, California, presented a situation report on the banking sector in the state of California. He stressed that California has been extremely open to foreign banks, whose entry have been very good for the state’s economy. He also pointed out the important role played by the community banking sector in bringing banking resources down to the grass-root level. 12. Workshops on baking, capital markets, and stock exchange were also conducted to enable the participants to identify and explore business opportunities in these sectors. Chairing the workshops were Mr. David K.P. 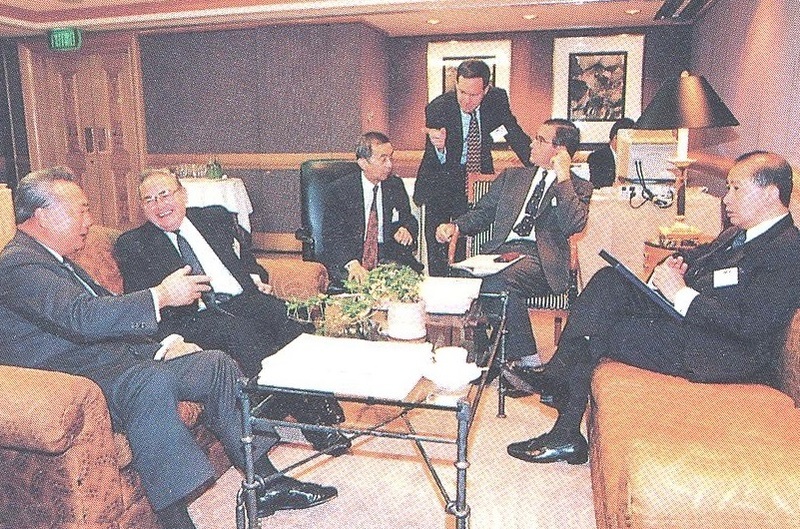 Li, Director & Chief Executive, Bank of East Asia; Mr. Patrick Thomas, Managing Director, Oakreed Financial Services Ltd.; and Mr. Charles Lee, Chairman, The Stock Exchange of Hong Kong Ltd. They were ably supported by other local speakers. 13.Invited as luncheon speaker was Mr. Urban Lehner, Editor, Asian Wall Street Journal, who talked about concerns voiced by various sectors regarding the emergence of China both as an economic and military power. 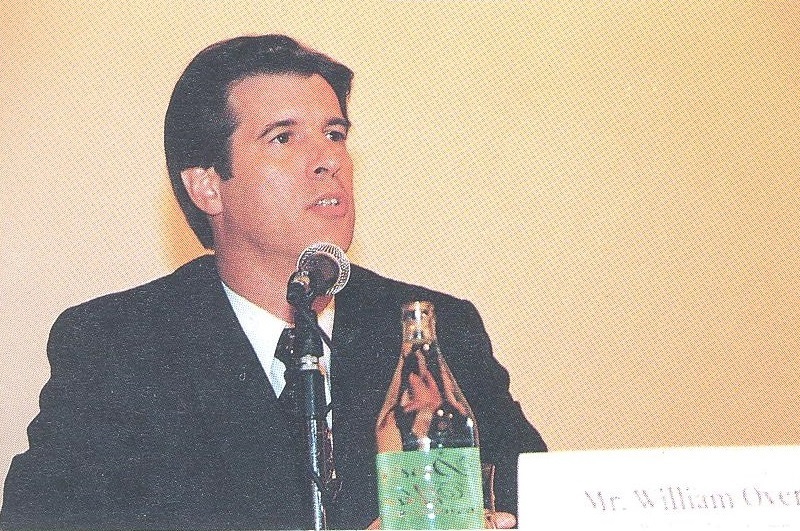 Mr. Lehner underscored the critical role of the United States and Japan in determining the extent and nature of influence that China will eventually wield in Asia in the future. The featured speaker at the Closing Dinner was Mr. William Brandon, Jr., Immediate Past President, American Bankers Association who suggested a linkage with the American Bankers Association. 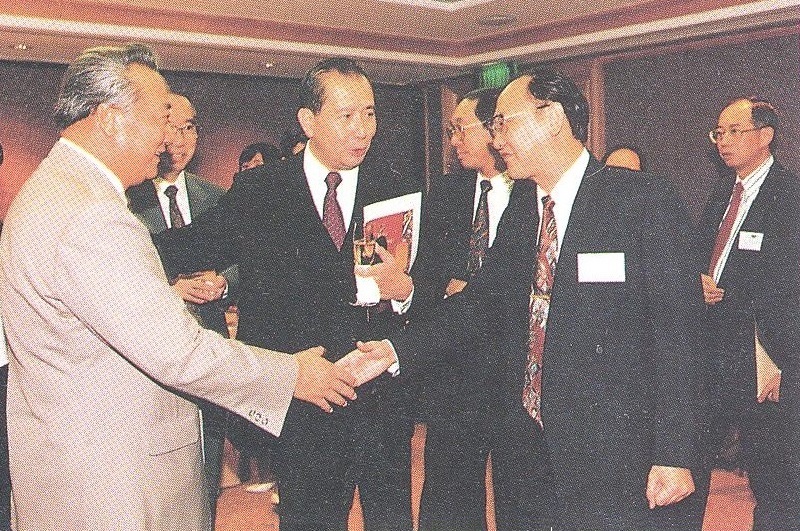 He acknowledged the presence of delegates from the Chinese American Bankers Association. 14. In line with this year’s seminar theme, participants spend the whole day of November 15 on a business trip to Shenzhen to take a first-hand look at the developments in one of the fastest growing economic zones in the mainland. 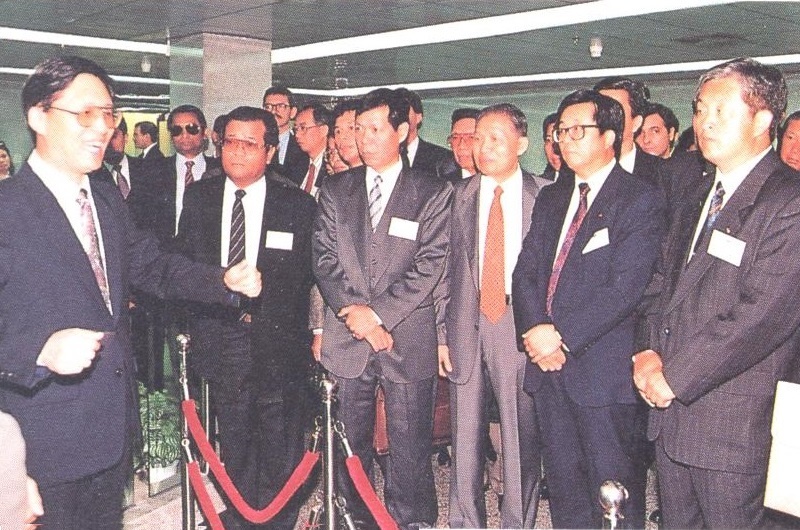 Led by Dr. Mochtar Riady, touring delegates visited the Shenzhen Stock Exchange, where they were received by Mr. Xia Bin, General Manager, as well as the Shenzhen International Trust & Investment Corp., where they were met by Mr. Wang Yung, Vice President, and General Manager Mr. Li Nan Fong. They later joined Mr. Zhang Hong Yi, Vice Mayor of Shenzhen, and Mr. Wang Xi Yi, President of the People’s Bank of China, Shenzhen Special Economic Zone Branch, for lunch at Forum Hotel. They also toured the Shenzhen China Bicycles Company (Holdings) Ltd., with the firm’s Executive Director, Mr. John W. Barker, as their host. 15. 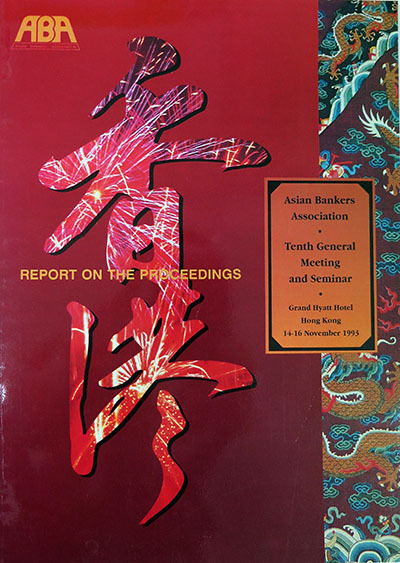 In appreciation of the excellent preparations made for the Meeting and Seminar, as well as for their gracious hospitality and assistance extended to the delegates, the ABA presented testimonials of appreciation to the host organizations, the Hong Kong Chinese Bank Ltd. and The Bank of East Asia Ltd.
16. 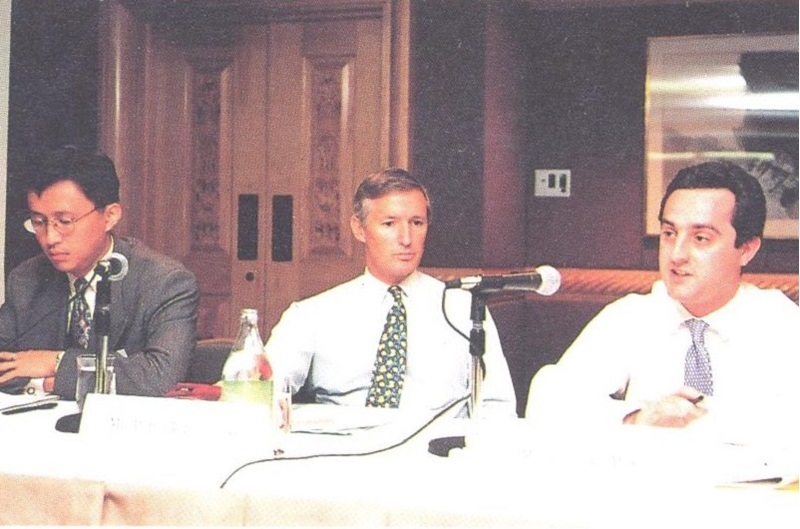 The members of the ABA Board of Directors held their 18th Board Meeting on November 14, 1993 to review the activities of the Association during 1993, and to discuss and decided on certain internal matters. Of the 20 regular members of the Board, 12 were present, seven had sent their representatives, and one was absent. 18. Per resolution passed during the 17th Board of Directors’ Meeting, a plaque of appreciation was presented to Dr. Amnuay Viravan in acknowledgment of the important role he played, as former Chairman and Advisory Council member, in the development of ABA. The plaque was received in his behalf by Mr. Goh Puay Kiak, Senior Vice President, Hong Kong office of the Bangkok Bank Ltd.